Recover usernames and passwords on Expert4x websites. Expert4x has over 10 websites in its group. and any other websites could all be different and will only work on the login they are meant to. We strongly suggest that you choose the same username, email and password for all Expert4x login required or record the specific details. That should resolve all your log in problems when trying to log into an Expert4x website. If you have problems logging and you need to recover usernames and passwords on Expert4x websites you have 2 options. Apply for a completely new login. During this process you may receive a message that the username already exists. If you do just move onto the 2nd option.. Recover your lost password. You should receive an email with your new or existing password which should allow you in. 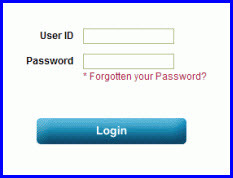 The best after that is to log into most Expert4x logins and change your username. email and password to be the same. If that is not possible keep a record or note of the different passwords. Depending on your computer, security and browser settings your computer could be using cookies to try to remember your passwords and has got confused. Sometimes it helps to delete all cookies (Google how for your computer) and reboot. Make sure you capitalisation is cORecT. Make sure you don’t have your CAP LOCK on. Don’t panic – if your password does not work stay calm. Calmly double check everything and then panic. This web page can be accesses from most Expert4x emails in the links under the signature. Use the Contact us facility if you still have problems.